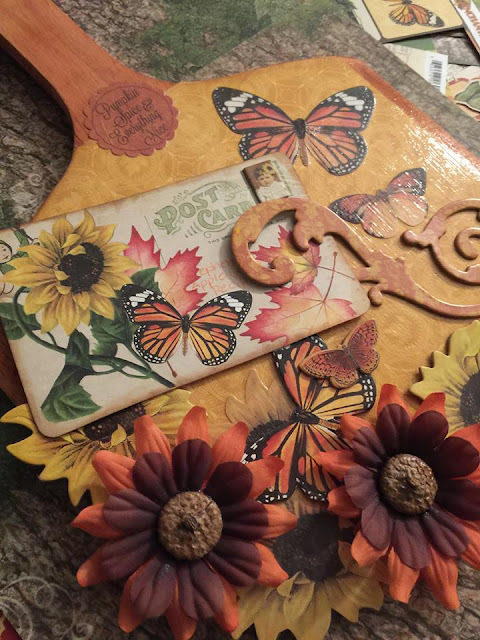 Autumn brings all sorts of images to my mind, a big Kansas field full of sunflowers, bright orange and yellow leaves gently fluttering toward the ground in the breeze, creating big piles of leaves just perfect for kids to jump in. It's ReNae here with your FotoBella Design Team! 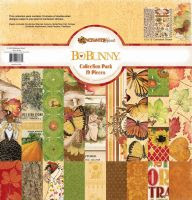 These wonderful images are perfectly captured in the Autumnal paper collection called "Enchanted Harvest" by Bo Bunny. So when I decided to participate in a cutting board swap last week, I knew exactly which paper collection I would use! I started with a cutting board I found at a thrift shop. To compliment the paper collection, I stained the bare wood with a combination of Rusty Hinge and Vintage Photo distress stains. 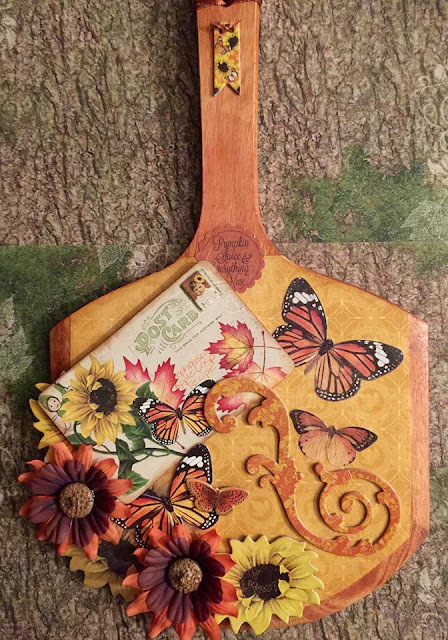 Using the Enchanted Harvest Chipboard, and the Ephemera Pack, I decorated the cutting board and I just love how it turned out! What projects would YOU make? Let me know and one lucky commenter will win a FotoBella gift certificate! Jerri, I love your idea! I think I'll do that! Team please post them when you're finished! Telma, Congratulations! You are the winner! I will send you a private message with how to get your gift certificate to FotoBella.com! Yay! It would make a beautiful mini album, I agree! Beautiful! I love all the colors. You did a great job! Thank you Jeanie! 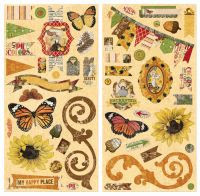 The colors are so vibrant and there are lots of coordinating extras to make your project special! Beautiful. I would make altered canvas to hang on the kitchen wall. I love, love, love your cutting board! I would probably make some card sets to give as gifts. 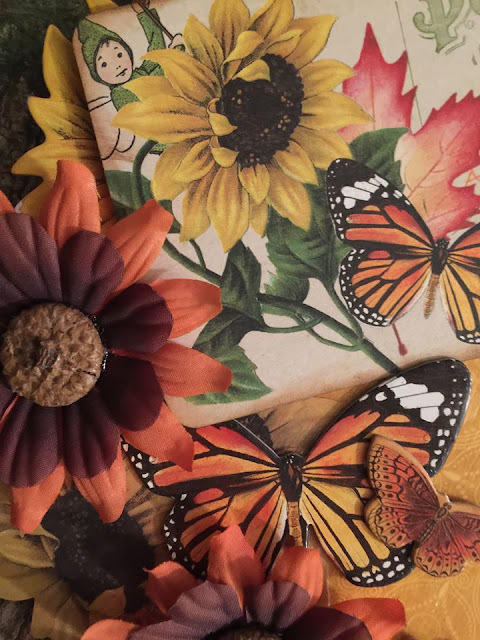 Keisha, this paper is so amazing, so it would make gorgeous cards. Maybe I'll give cards a try too!